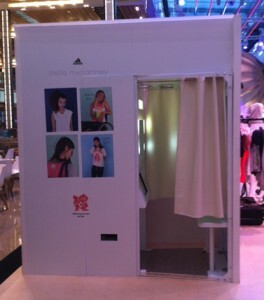 PictureBlast has the pleasure of providing two branded and extended photo booths to cover the Stella McCartney Adidas launch at Westfields shopping Centre in London. The 2 booths performed green screen and also we used our brand new IPad App to allow guests to upload their images straight to their facebook wall with a message telling everyone about the launch. The 3 day event was an amazing success, the booths will be out again in full force to repeat the launch this coming weekend!